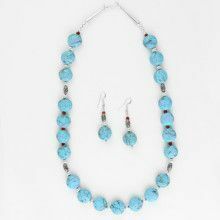 This unique set features a vibrantly colored necklace, and a set of earrings. 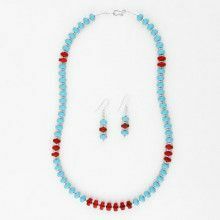 The necklace has three strands of turquoise beads with widths ranging from 1/4" to 1/2", while the earrings feature four turquoise stones which measure Approximately 1/4" each in width. 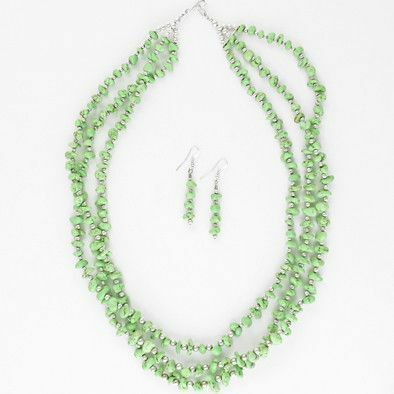 Both the necklace and the earrings feature sterling silver. 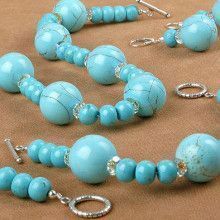 Each turquoise stone, which has been tumble-polished, is arranged next to a small bead of .925 sterling silver. 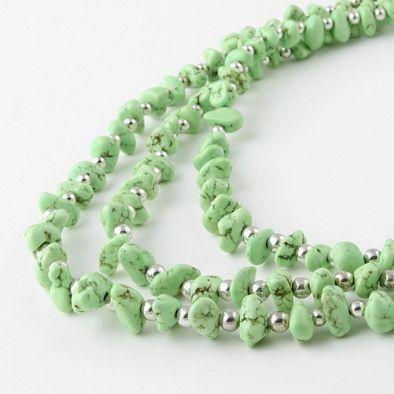 This elegant pattern brings out the more refined beauty of the silver, by contrasting it next to the raw beauty of the turquoise, while at the same time bringing out that raw beauty in the turquoise by contrasting it with the more sophisticated allure of sterling silver. Now you may be wondering about the unique color of this set. 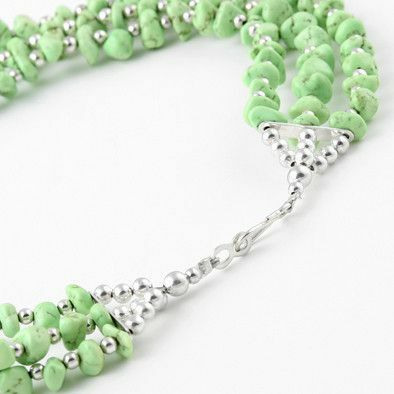 Turquoise is after all a blend of blues and green which usually leans heavy on the blue side. 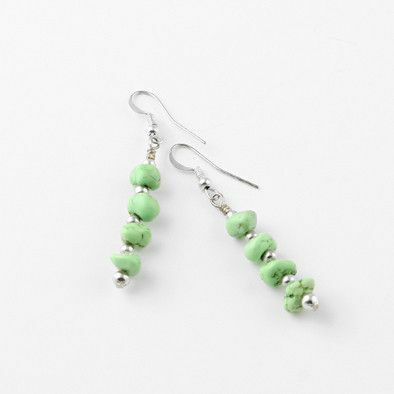 However turquoise chemical structure contains more iron, as compared to aluminum the stone will be more on the green side. Traditionally the blue variety has been more sought after, but as of late, the unique, and eye catching lime green color has seen a popular resurgence. 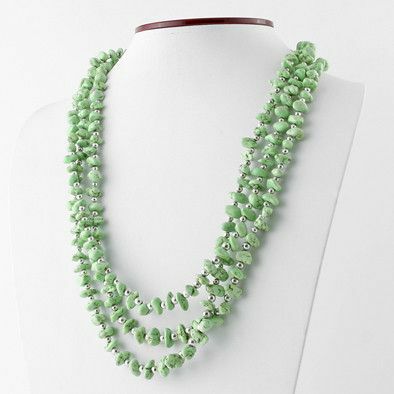 The light, airy green color almost glows, and would contrast beautifully with a dark piece of clothing. 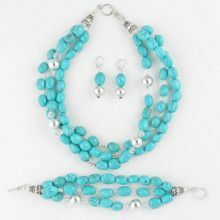 Or this set would also nicely compliment earth toned attired. 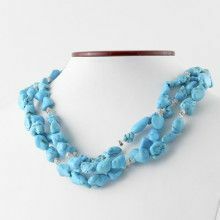 Sure to catch attention with its color, and inspire intrigue by the fact that its turquoise, this limited quantity set is sure to look great on you.